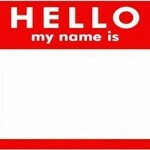 A while back, we published an article on how to properly use a guest’s name. Using a guest’s name is one of the biggest struggles for many properties. But now, there is no excuse. More and more businesses are recognizing the value of using a guest’s name and are training their associates on how to do it correctly. Customer Service call banks have really improved. Call your phone company or your bank’s customer service line. They will probably use your name many, many times during the conversation. They will also try to up-sell you on additional services, but that is a different article! The other day, my arteries were feeling a little less clogged than usual so I stopped by Jack In The Box for lunch. After I ordered, the cashier asked me my first name. She then wrote it on the ticket. A few minutes later when my order was ready, they called out my name instead of ‘order number 196, ultimate cheeseburger and fries’. Then the associate handed me the tray and then thanked me by name. Now, if Jack In The Box can use the name of their guests, there really is no excuse! This entry was posted in Great Customer Service and tagged hotel front desk, hotel great service by TrueGuest. Bookmark the permalink.